The property rental and management company is offering 30% off Thanksgiving bookings this year, with free linens and towels and a complimentary turkey. 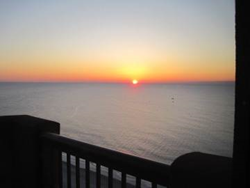 For property descriptions and photos, visit http://www.vacationrentalsofnmb.com. Turkey Day is almost here; why not celebrate it at the beach? Vacation Rentals of North Myrtle Beach is continuing its tradition of offering a turkey to guests who book a home or condo for Thanksgiving. Additionally, they’ll receive 30% off the rate, including linens and towels. There’s still plenty to do here in November. For instance, music lovers should check out the 45th annual Carolina State Bluegrass Festival Thanksgiving weekend at the Myrtle Beach Convention Center. Or, get into the holiday spirit a little early with Carolina Improv’s Dysfunctional Holiday Gathering show November 26, or the Alabama Theater’s family-friendly Christmas extravaganza. Read on for more info on this month’s featured properties and activities! 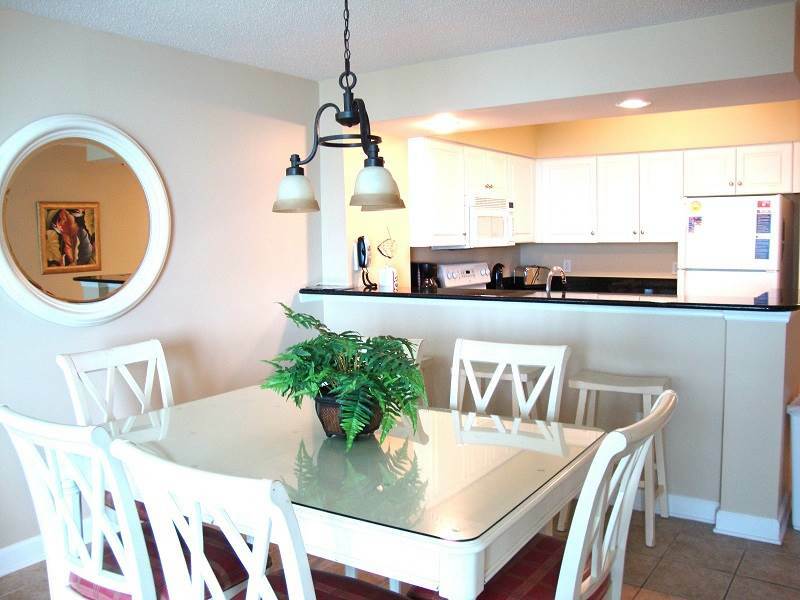 This 2BR/2BA oceanfront condo is located in Crescent Beach, and is close to the very best attractions the Grand Strand has to offer. It’s just a short trip from Blue Water Keyes to shows at the Alabama Theater, shopping and dining at Barefoot Landing and live music at the House of Blues. Guests can also make a quick drive to Myrtle Beach for even more activities and entertainment. The unit is ideal for those needed moments of downtime as well. It has a fully stocked kitchen, WIFI and an entertainment system – all the elements of a cozy night in. Enjoy a glass or two on the balcony, which features a breathtaking view of the Atlantic Ocean. This gorgeous 3BR/3BA condo is a luxurious suite overlooking the ocean in Kingston Plantation. There are awesome views from every room in the unit, and each room has balcony access. With amenities like a hot tub and high-speed Internet, guests will surely have a relaxing vacation! Additionally, guests have access to most of the pools and amenities Kingston Plantation has to offer, and they can use the health club and tennis courts for a small fee. Located in the heart of Myrtle Beach and right across the street from the beach, Myrtle Beach Villas is a secure building that is just a walk across Ocean Boulevard for easy access to the ocean. 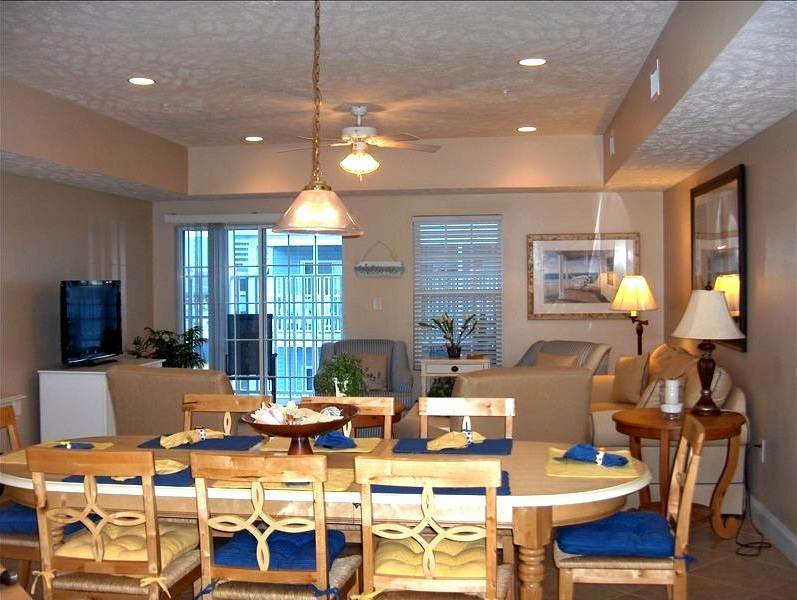 This deluxe, spacious 4BR/3BA condo is fully furnished and sleeps eight people comfortably. The property is close to the best shopping and activities on the Grand Strand, like the Boardwalk and the SkyWheel. The unit is also great for golfers, as it’s close to the four championship courses at Barefoot Landing. 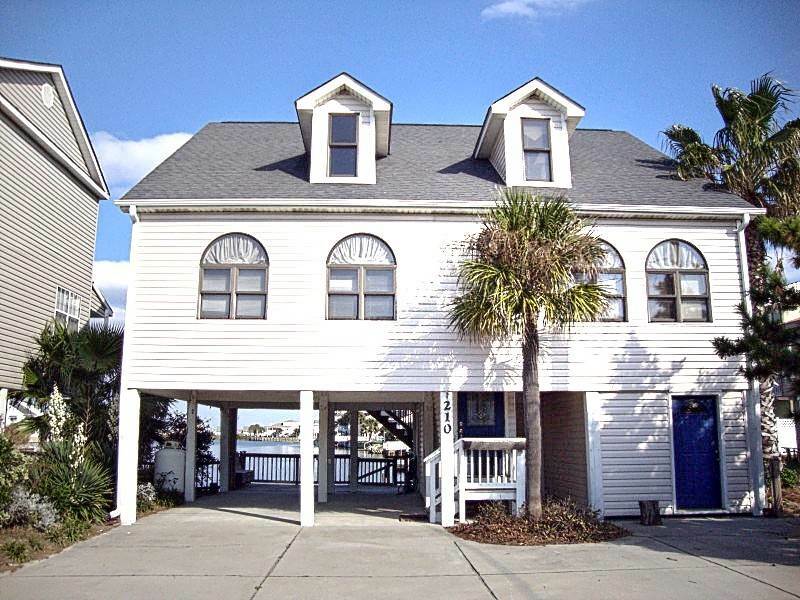 Guests who book this 4BR/4BA home in Cherry Grove can fish right on the deck. The property is located on one of the enclosed channels, so guests can sit on the deck and read, chat or just enjoy the view. The place is perfect for Thanksgiving dinner. There’s a large flat-screen TV, DVD player, Xbox, pool table and fireplace to enjoy in the living room. The open kitchen is fully stocked and there is plenty of seating. All of the bedrooms have private bathrooms, so everyone has a private, comfortable space. The Cherry Grove pier and the beach are only a short walk up the street, and local restaurants, shops and other attractions are also close by.